Following a successful first Neasden Festival last year, this weekend we have our second Neasden Festival this Saturday. It will be a street party with lots of family activities and entertainment for all to enjoy. New signs are proposed at three locations in Dudden Hill Ward that have been identified as accident hotspots. The signs will be on Dudden Hill Lane and Neasden Lane. The signs will aim to slow down traffic and also encourage people to be more aware of motorbikes. Accidents involving mopeds and motorbikes have caused us concern and residents have been talking to us about their concerns and the lack of signage. Labour Councillors have been successful in making the case and the signs are expected to be in place before summer. 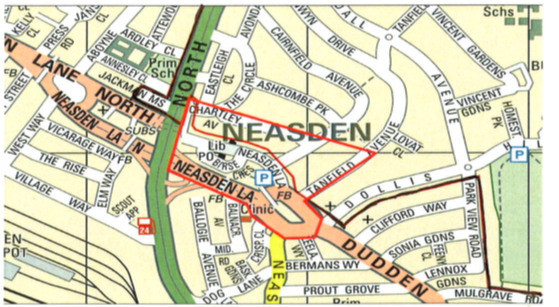 After intense pressure from the Dudden Hill Labour team, Brent Police and Brent Council are introducing a Dispersal Zone in Neasden. This is after a number of complaints received from residents and local businesses regarding the persistent anti-social / nuisance behaviour being caused by groups of males whom are gathering in and around Neasden Parade (Shopping Centre) and its surrounding roads. • Groups of males causing ASB during the day. • Drug dealing and using. • Loitering in entrances to local shops / businesses & residential properties. • Intimidation / harassment of local business. • Using threatening language /verbal abuse. • Fighting / Threats / Acts of violence. The dispersal order will be enforced from 12:00hrs on 7th May 2014 and will be in operation until 6th November 2014. This will be for six (6) months. It will cover the roads / streets that are within the red boundary as highlighted in the map. Which are as follows : Neasden Lane bordering the A406 on the West side running between A4088 on the South and Chartley Ave on the North including both sides of Chartley Ave. Stopping at Neasden Circle roundabout on the East side including the roundabout. Along Tanfield Ave on the South East side, including both sides of Tanfield Ave. This also includes Birse Crescent and Cairnfield Ave, all other roads, streets, open areas, communal spaces and car parks within the mapped area outlined in red. Groups of individuals causing Anti-Social Behaviour (ASB) or acting in a manner that is causing or is likely cause alarm, harassment or distress can now be dispersed by Police Officers and Police Community Support Officers (PCSOs). Individuals that have been instructed to leave the area will not be allowed to return to the area for a period of 24hrs. If they return and continue to cause problems, they can / will be arrested. Anyone found guilty of contravening a direction under a dispersal order can face up to three (3) months imprisonment or a fine of up to £2,500. The Dudden Hill SNT will regularly police the dispersal zone throughout the period of the dispersal notice. Maps of the dispersal zone will be displayed throughout the designated zone during the allocated time period, this is to encourage victims and witnesses to report Anti-Social Behaviour as and when it may occur. The lights being out on Neasden Lane as cars approached the Grange Neasden roundabout from Blackbird Hill was a longstanding issue that Lib Dems on the Council had done nothing about. It is a very busy road and stretch of highway as it serves as a main route between the north and south sides of the Borough. Within a few weeks, we had fixed the issue by getting officers on the case. There are a number of large gas mains below that section of Neasden Lane. The gas board identified a heavy leak to one of them and met with officers here (and the Police and bus operators) to decide what to do. 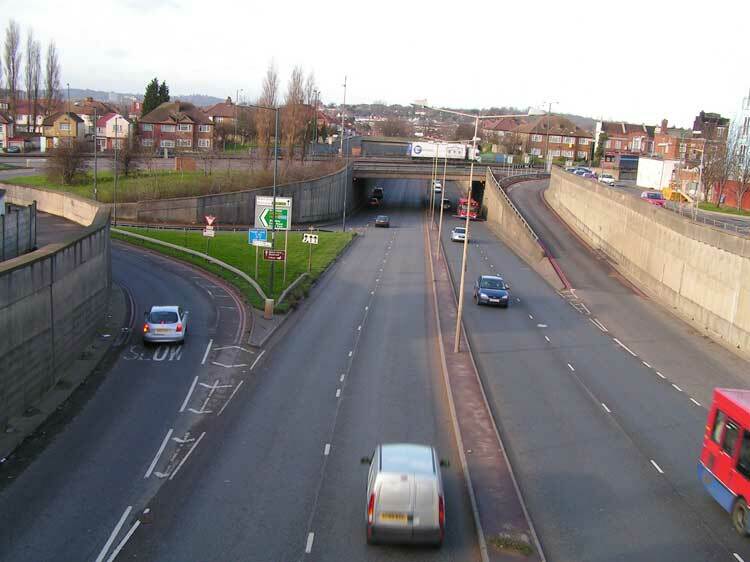 It was agreed that the leak needed to be repaired urgently and that the most appropriate solution was to install one-way working along a section of Neasden Lane (with traffic in the other direction following a diversion). Any restrictions on roads such as Neasden Lane are disruptive but it was decided that one way working would be safer and less disruptive. In this particular case the leaking mains presented a genuine hazard and there was no choice but to make arrangements to undertake the repair straight-away. At the time when the arrangements were being made the extent and precise location of the leak was not known and it was envisaged that the repair might take a maximum of 10 days. The forecast repair time was based on limited knowledge about the size, location and condition of the gas mains in the area. The repair proved easier to identify and repair than anyone envisaged. I am told that the repair will be completed today and that it is likely that the road will be completely open to traffic later today or tomorrow. National Grid Gas is undertaking emergency roadworks on Neasden Lane NW10 to repair a major gas leak. Works are due to commence at 10am on 21 February 2012 and will last for ten days. During the works Neasden Lane will be closed to southbound traffic between the A4088 Neasden Lane Roundabout and Bermans Way. Southbound traffic affected by the closure should go via Dudden Hill Lane and Bermans Way. For more information contact National Grid Gas on 01455 232822 or Brent Council on 020 937 5133/5145. 3rd Saturday of each month, 10:30am to 12:30pm at College of North West London, Willesden Centre, Dudden Hill Lane, NW10 2XD. I will be inquiring on why it took so long, what can be done to prevent this from happening in the future, and how many Road incidents occurred whilst the lights were out. Anyone driving from Blackbird Hill towards the direction of Willesden and Harlesden would have noticed that for a while, there have been no lights towards the Neasden roundabout approach. It is now becoming a joke, as it has not been rectified for months now. I have reported it and so has Willesden Green Councillor Lesley Jones.